My specific guilty pleasure is what could be considered the reincarnation of the Jumpstarters. 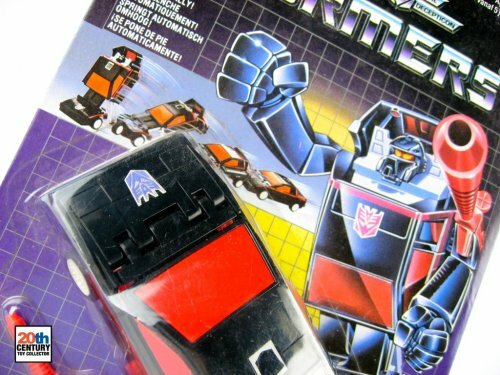 Yes, I am talking about the Battlechargers Runabout and Runamuck (*hangs head in shame*). The reason for this anomaly is pretty simple. 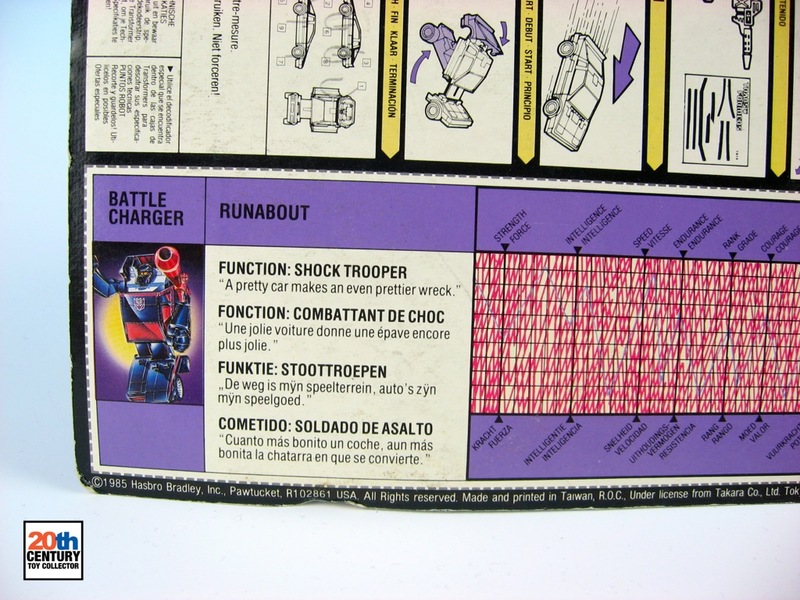 When I was a kid I remember buying Runabout in my local toy store somewhere in late 1986 or early 1987. So who is this Runabout then? 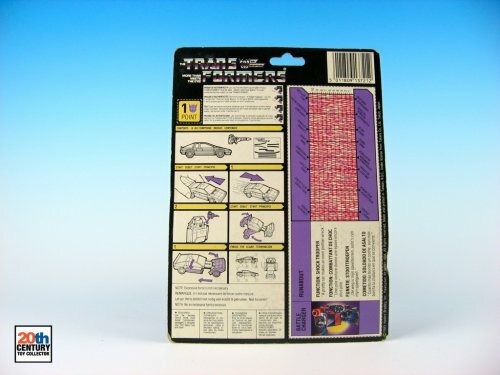 Well, Runabout is a Decepticon Battlecharger that was released in both North America and in Europe in 1986. Yeah, it’s one of those pull-back motor thingies. If Runabout is in car mode he will automatically transform into robot mode if you pull back and release. Check the dazzlingly awesome transformation illustration on the packaging below. Cool, right? Well, a little bit… To tell you the truth I was never really fond of these G1 Transformers with pull back motors. In order to be able to transform automatically their transformations were usually relatively simple. Also there was no way to really play with the toy the way I wanted to, because pulling the car back would always inevitably trigger the motor mechanism whether I wanted to or not. This limited the way you could play with the toy, especially in car mode. Anyway, I remember staring at the Transformers available at my local toy store that day and I ultimately went with Runabout, because he most resembled a cool car in his alternate mode. It was around this time that most of the new Transformers coming out changed into futuristic space vehicles and such, which did not really tickle my fancy. 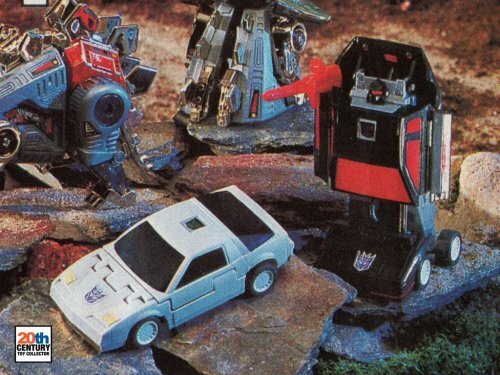 I preferred the early Transformers that turned into real life vehicles or real life objects and Runabout was one of the very few Transformers on offer at that moment that still fit that category. 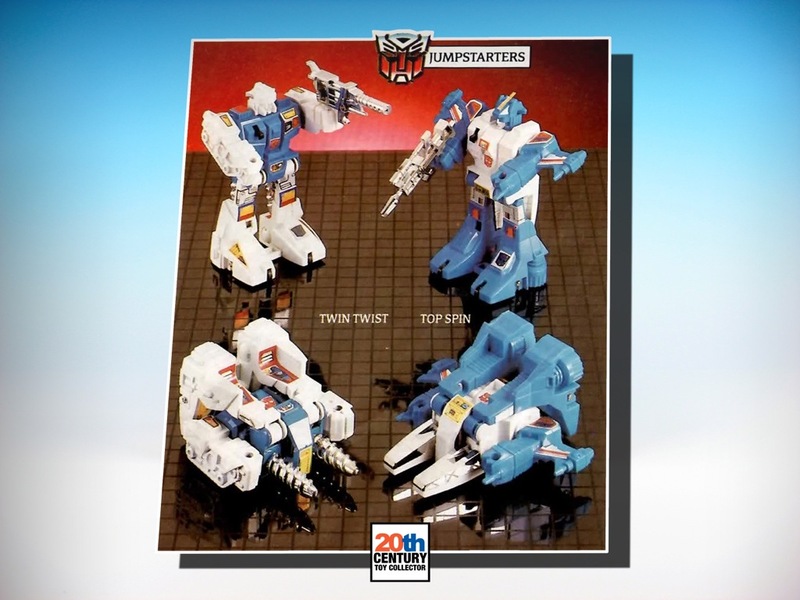 I remember both Runabout and Runamuck were available and it was tough to decide which one to buy, but I ultimately went with Runabout, because he was black and looked just a tad cooler than the all white Runamuck. 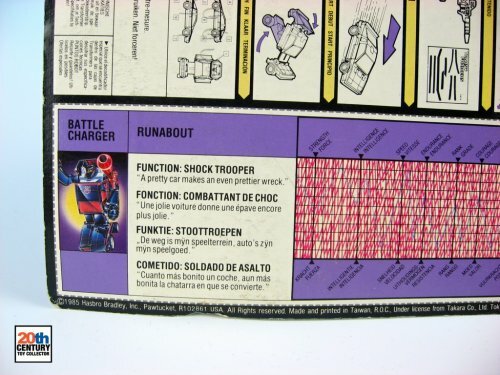 As I mentioned above, Runabout was released in 1986 and is also one of the first Transformers that was not originally meant for the Diaclone line, but made specifically for Hasbro’s Transformers line (most of the early G1 Transformers were actually released earlier under the name Diaclone or Microchange by Japanese toy maker Takara). As with most of the other toy lines from my youth, I try to collect the locally released (European) versions of the toys, because that’s how the toys came here in the Netherlands and that’s also how I remember them. It took me quite a while to find a MOSC (mint on sealed card) Runabout on a European cardback, but I finally stumbled upon a very nice specimen in excellent condition late last year in Germany and scored it for a ridiculously low sum. Good times! LOL! Thx mate. Another member then for the Battlechargers Appreciation Society. 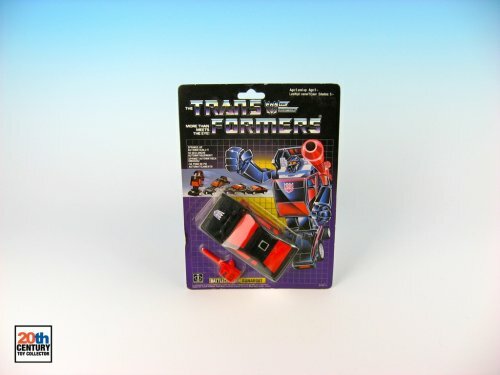 Wow funny how many G1 collectors had battle chargers when they were younger. I myself had Runabout and I only recently traded him in for a ‘better model’ Keep up the great work on your blog! Well, seems I’m in good company here. :-) Thx for your comment and congrats on your Runabout upgrade! I’ve been looking for a loose specimen for a while now and these Battlechargers will often have worn stickers and busted mechanisms. It’s not easy to find a nice and shiny loose specimen these days..
Battlechargers were never released by GiG in Italy, so I never had the pleasure of owning Runabout. 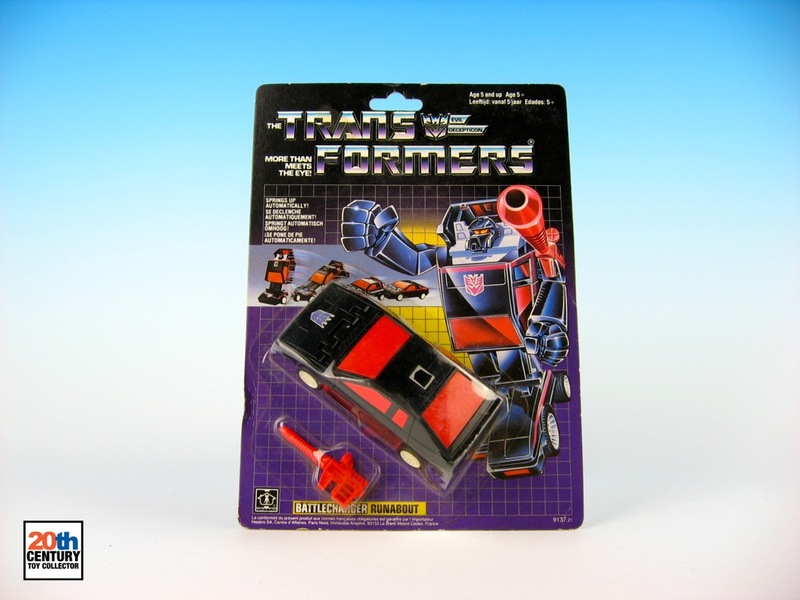 The only pull back motored Transformer I owned (and still own) is Goldbug, of Throttlebots (in Italy “Racerbots”) fame. Still, I would have liked Runabout and Runamuck, since both appeared in the cartoon and the comics. Runabout name in Italy was “Diablo”, and he spoke in the Italian dubbing with a Spanish accent (don’t ask me why, I still can hardly believe how silly it was :P)!